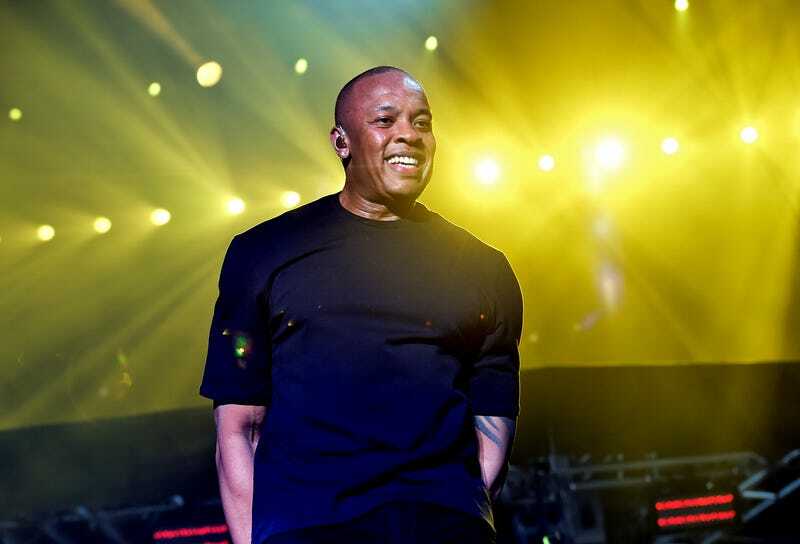 Dr. Dre performs onstage at the Coachella festival April 23, 2016, in Indio, Calif.
Dr. Dre was handcuffed outside his Malibu, Calif., home Monday after a white driver called police and said he was brandishing a gun. According to the Los Angeles County Sheriff's Office, Dre told the cops that the man was blocking his driveway and refused to move after being asked. But he denied making the threats the driver accused him of. The driver initiated a private person’s arrest on Dre, officials say. “Due to the nature of the call, the person was searched, handcuffed and briefly detained in a patrol car while deputies investigated the incident,” Sheriff’s Capt. Chris Reed said of Dr. Dre. TMZ posted video of Dre undergoing a search, to which he complied. Authorities also said that Dre was taping the incident on his cellphone before the police arrived. Dre said the man had followed him from the freeway after a road rage incident.